Nick Barose for Patyka created the look of Andrea Riseborough for the premiere of “Shadow Dancer” at the Sundance Film Festival. Sundance is definitely the most hectic film festival, people are usually exhausted and not getting enough sleep, I usually spend more time prepping skin than doing the actual make-up.." if you prep it right, half the work is done"
For Andrea’s red carpet look, I gently massaged Patyka’s Biokaliftin Radiant Eye Contour under the eyes. 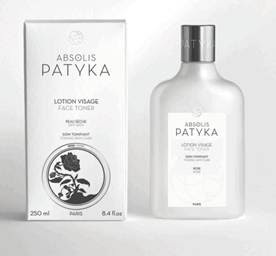 "I put a little more on than you need because skin is so thirsty in winter, it’ll drink it right up and leave perfect texture for concealer"
Some clients are oily especially on the forehead and to keep skin from being oily so they look good in photos all day, I gently apply Patyka’s Rose Face Toner, which is alcohol free, to the forehead and nose area to control the oil, but not drying you out in the cold. For skin, moisturizer alone is not enough, skin needs deep hydration so I always start with Patyka’s Huile Absolue Face& Body Serum. I massage it thoroughly on the face and neck as well as the hands too.